Kimberly Barclay Drusedum has served as director of the Green Valley High School Choirs in Henderson, Nevada for over twenty years. After teaching one year at Dell H. Robison Middle School, she had the privilege of building the choral program at Green Valley. She is a 1990 graduate of the University of Nevada, Las Vegas where she received a Bachelor of Music degree in Music Education and a 2001 graduate of the University of Phoenix with a Masters Degree in Educational Administration. Mrs. Drusedum is currently the Task Force Chair for High School Choir for the Clark County School District. She is a past president and currently president – elect of the Nevada Music Educators Association and president of the Nevada Chapter of the American Choral Directors Association, a past member of the Nevada All-State choir audition committee, and past chair of the Nevada Music Educators Association State Solo & Ensemble. Mrs. Drusedum has received the "Outstanding Music Educator Award” for World of Music Festivals in 1993, 1994 & 1995. She also received Kiwanis Educator of the Year in 1995. Her choirs consistently receive "Superior" ratings at state, regional and national festivals. In 1996 she was a guest presenter at the "Four Corners Choral Workshop" in Flagstaff and in 1997 she was the guest conductor of the Northeastern Nevada Honor Choir. In 1998 the Green Valley High School Concert Choir under Mrs. Drusedum's direction was featured at the Western Division American Choral Directors Association Conference and the choirs have toured nationally. The Concert Choir has also been guest artists for the Las Vegas Philharmonic's "Yuletide Celebration" in 1999, 2001 & 2002. Her Concert Choir and Madrigals were named "National Champions" at the National Festival of Gold in Salt Lake City in May 2003 after being tied for first place. In 2004, her choirs took the Sweepstakes Award, Outstanding Choir Award, and Adjudicators Award at the Heritage Hawaii Festival. In February of 2005, the Green Valley High School Madrigal Singers, under the direction of Mrs. Drusedum, performed at the National Convention of the American Choral Directors Association marking the first performance of a high school choral group from the State of Nevada at this prestigious event. Mrs. Drusedum is also a past member of the UNLV Chamber Chorale and owner of the Southern Nevada Lamplight Carolers. In November of 2001, she was named the Henderson Chamber of Commerce "Most Outstanding Educator" at Green Valley High School and in February of 2002 she was named "Nevada Music Educator of the Year" by the Nevada Music Educators Association. In November of 2002, Mrs. Drusedum was selected as a recipient of the "Clark County School District Excellence in Education" Award. Most recently, Mrs. Drusedum was named “Outstanding Alumni” for the University of Nevada, Las Vegas, College of Fine Arts. Kim is past chorus master of the Las Vegas Philharmonic Orchestra and has been a featured soprano soloist with the UNLV Chamber Chorale, University Singers, Oratorio Chorus, Las Vegas Studio Orchestra, Southern Nevada Musical Arts Society and most recently as soprano soloist with the Las Vegas Philharmonic in the Mozart Requiem. Diane Koutsulis is the Director of Bands and Arts Department chair at Green Valley High School in Henderson, Nevada. 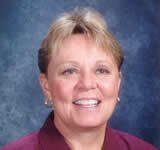 Originally from Chicago, Illinois, Diane has been teaching in the Clark County School District for the past 25 years. She received a B.A. degree in Music from Western Illinois University, Macomb, Illinois, and after teaching junior high band in Oswego, Illinois, for three years, went on to complete an MMEd from Louisiana State University in Baton Rouge, Louisiana. 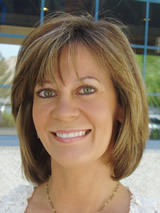 During her tenure in Las Vegas, Diane has built fine band programs and music departments at both Las Vegas High School (1982-91) and Green Valley High School (1991-present). Her groups have consistently garnered recognition for fine performances and she has served as both guest clinician and conductor at various conferences throughout the Southwest. Diane was named the 1999 Nevada State Teacher of the Year and received the 1999 Milken Family Foundation National Educator Award. In March of 2003, she was inducted into the Nevada State Education Hall of Fame. 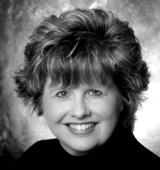 Diane is an Associate member of College Band Directors Association (CBDNA) as well as holding memberships in Nevada Music Educators Association (NMEA), Music Educators National Conference (MENC), and the National Band Association (NBA). Sheri Manning received her Master's Degree from Utah State University in Music Education and Social Psychology. Her teaching experience includes 20 years in the Utah Public School System, including Sky View and Mountain Crest High Schools, and 14 years in the Clark County School District, teaching band at Robison Middle School. During her career, Ms. Manning's Marching Bands, Concert Bands and Jazz Bands have received superior ratings and championship awards at State, Regional, National, and International competitions. Ms. Manning was chosen as the first high school director to conduct the Utah All-State Band, and received the Utah School Board 'Teacher of the Year Award'. She has also served on the Educational Advisory Board for Bands of America. Currently, Ms. Manning is a Project Facilitator for the Instrumental Music Programs in the Clark County School District. Terry Shade is a nationally recognized Middle School Orchestra Specialist whose past orchestra programs have been selected to perform at the Southern Division Music Educator’s National Conference, the 50th Anniversary Mid-West Band and Orchestra Clinic in 1996, and the Atlanta International Band and Orchestra Conference in that same year. Following these performances, she was featured in the Instrumentalist Magazine discussing effective teaching methods and practices. After teaching for ten years in Atlanta, Georgia, she moved to Las Vegas, Nevada to continue her career in the Clark County School District. She was a director of the Las Vegas Youth Orchestra for six years from 1997-2003. Ms. Shade worked as a Project Facilitator with the district, mentoring a huge staff of orchestra teachers and performing supervisory duties for the Secondary Fine Arts Department and the Curriculum and Professional Development department in the school district for six years during which the string program experienced huge growth. Terry received a state music award for her work with the Clark County Orchestra Programs. The Steve Maytan Contribution to Education Award was presented to Ms. Shade at the NMEA conference in 2004. In the past several years, Ms. Shade was invited to conduct three All State Orchestras, in North Carolina, Georgia and most recently in 2007, Florida. The new ASTA Publication String Teaching in America: Strategies for a Diverse Society includes a chapter written by Terry about her experiences teaching in Las Vegas and working with many at- risk orchestra students in the district. She received her Music Education Degree from Loyola University in New Orleans, studying string pedagogy with Professor Dean Angeles. 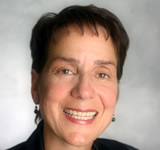 Her professional affiliations include Music Educators National Conference and ASTA with NSOA. She currently resides in Seattle, Washington with her husband and two children. She is continuing her work as a conductor, clinician and consultant for string education. Bill Swick holds a Bachelor of Music and a Masters of Music Education from the University of North Texas. He began his teaching career at Drake University as Instructor of Jazz Studies and Guitar in 1977. In 1982, Swick moved to Las Vegas where he began teaching at the University of Nevada Las Vegas. 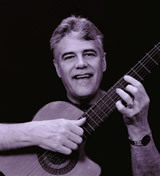 In 1998, after observing a middle school guitar class, Swick decided to teach guitar for the Clark County School District. For four years, Swick taught guitar at a middle school, a high school and at the university on a daily basis. Swick is currently the guitar instructor and music department chair at the Las Vegas Academy of Performing Arts where guitar students receive over seven hours of classroom instruction each week. Swick has had more guitar students qualify for all-state solo and ensemble than any other guitar teacher in the state of Nevada. His students have performed at numerous national conventions including the 2003 NAMM Show in Anaheim, CA and the 2004 and 2006 MENC Bi-Annual National Conventions and the Guitar Foundation of America (GFA) national convention in 2007. Mr. Swick is currently the music department chair at the Las Vegas Academy of Performing Arts, the CCSD Guitar Task Force Chair, Treasurer of the Las Vegas Guitar Society, and an active member of the GFA Pre-College Guitar Education Committee.